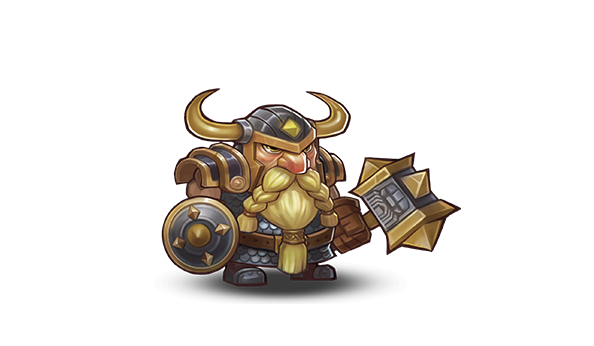 Already highly resistant to Physical Damage, his Ultimate grants him near immunity to Physical Damage for a short duration. Further disables the enemy with Slowing and Blinding attacks. Transform into a giant dwarf. Increase Attack, Health, and Dodge, while reducing physical damage taken. 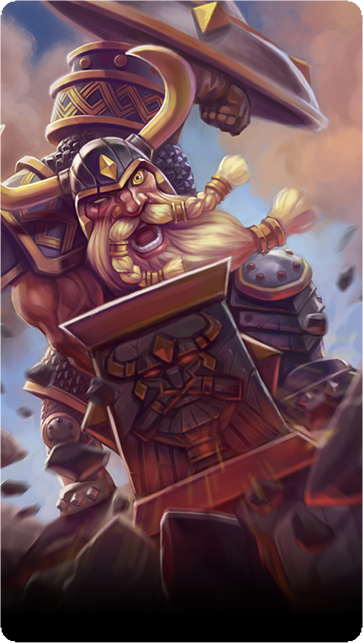 Smash the ground with tremendous force, dealing AOE Physical Damage and Slowing enemies. Call down a giant mace from the sky on an enemy's head, dealing Physical Damage.